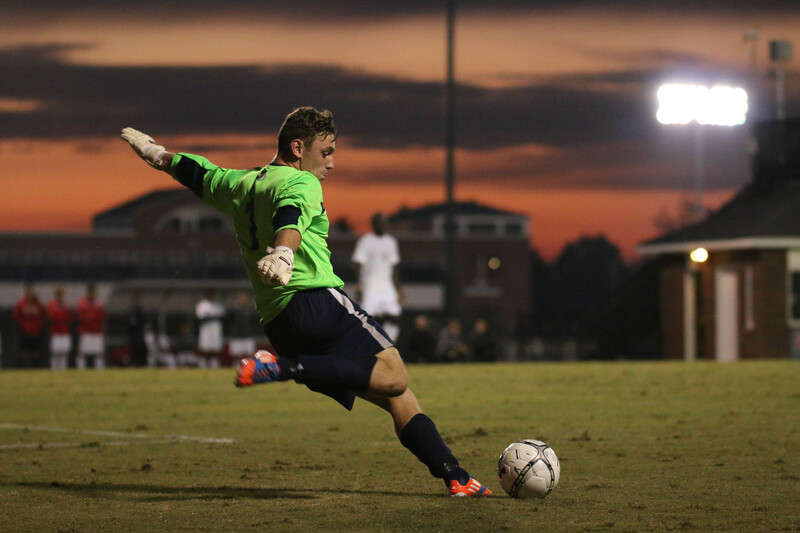 Men’s Soccer Team takes a tough loss to Chanticleers. Gardner-Webb Runnin’ Bulldogs men’s soccer team (1-6) took a tough loss to rival Coastal Carolina Chanticleers (4-3) with a score of two to one at the Greene-Harbison Stadium. The ball stayed mostly in possession of the Chanticleers throughout the first half. The first goal was scored on the 2:37 minute by Chanticleers forward Ricky Garbanzo who received a cross from teammate Michael Millay. After many tries the Chanticleers succeeded with another goal at the 14.24 minute by Chanticleers forward Agust Arnarson with assist by teammate Ricky Garbanzo. The ball was volleyed over the goal keeper for Arnarson to put into the net and put the Chanticleers into their two point lead. Leading into halftime the Bulldogs were down two points and only had one shot on goal. The Chanticleers also led into the half with two goals and three shots on goal which gave them the lead. On the 52.36 minute of the second half the Runnin’ Bulldogs gained their first goal of the game. Forward Ali Al-Gashamy put the ball in the net after teammate Arjun Jung ran down the center where he chipped the ball for him to take the shot. In the second half the Bulldogs took two shots on goal while the Chanticleers took only one. Throughout the game there were four yellow cards cautioned to players. First was at the 43:20 minute, which was received by Gardner-Webb mid-fielder Nathan Rose. Second was around the 65:47 minute, which was received by Coastal defender Colin Marz. Third was at the 87:42 minute, which was received by Gardner-Webb mid-fielder Riley Shelton. Forth was at the 88:07 minute, which was received by Coastal forward Ricky Garbanzo. At the 88.51 minute the field was brought to an uproar as the players on both teams began to dispute with each other near the Bulldogs bench. They were split up by the referees and then set back into play to finish the game with a 1-2 loss. Gardner-Webb Runnin’ Bulldogs will head to Asheville to play UNC Asheville Bulldogs on Saturday, October 4th at 5 p.m. They will return home on Saturday, October 11th to compete against Liberty University. 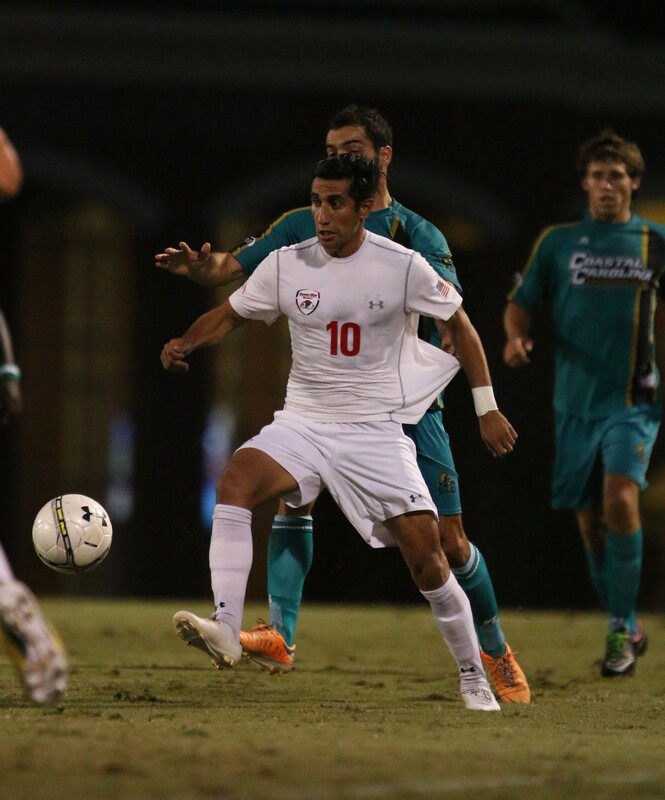 Be the first to comment on "Men’s Soccer Team takes a tough loss to Chanticleers."